The FBI needs to release its Tsarnaev file. Lots and lots of questions remain to be answered about whether or not the Tsarnaev brothers acted alone, were part of some international conspiracy involving Al Qaeda and its allies, or were simply inspired or radicalized by some errant imam. So far, it appears that they acted “alone.” But the question of the “Chechen connection”—or, the “Dagestan connection”—lingers. One question: What, indeed, did Russia tell the FBI about Tamerlan Tsarnaev, the older of the two brothers, who visited parts of Russia in 2011? Whatever they said, the FBI ended up interrogating Tsarnaev, looking into his records and his activities, and talking to his family. Apparently, they found nothing suspicious. It’s entirely possible that there was nothing suspicious to find. Which raises the question, as I mentioned in yesterday’s post, of whether or not the very act of the FBI’s interrogation of Tsarnaev helped radicalize him. An angry young man, increasingly aware of Russia’s brutal suppression of Chechnya, might have been pushed over the edge by the questioning itself, especially if he was guilty of nothing more than simmering anti-Russian Chechen nationalist feelings back then. The exact trajectory of Tsarnaev’s journey into radicalism is still emerging, but it first surfaced in 2011 when he somehow entered the radar of the Russian security services. It accelerated in late 2012 upon his return to the United States from a six-month visit to the Caucasus, when friends and relatives noticed a new religious and political fervor. And it ended in violent death after he was identified by the FBI as one of the suspects in a coordinated bombing that killed three and injured more than 170 near the finish line of Monday’s race. A police operation in Dagestan and Chechnya in mid-February last year, shortly after Tsarnaev’s arrival in the region, led to the deaths of 17 police officers. Twenty-four others were wounded. On March 7, 2012, a female suicide bomber killed herself and five police officers. Less than two weeks later, on March 23, a Muslim cleric and his bodyguard were killed by a remote-controlled bomb. Ten days later, three rebels and a soldier died in a gun battle. US investigators are looking into a Russian intelligence report that alleged Boston bomber Tamerlan Tsarnaev met with a suspected militant during his six-month visit to Russia in 2012, according to American law-enforcement officials. The accuracy of that report and whether it was shared before the attack in Boston is a subject of debate. According to one account, Russia’s security service told the Federal Bureau of Investigation about it in November. 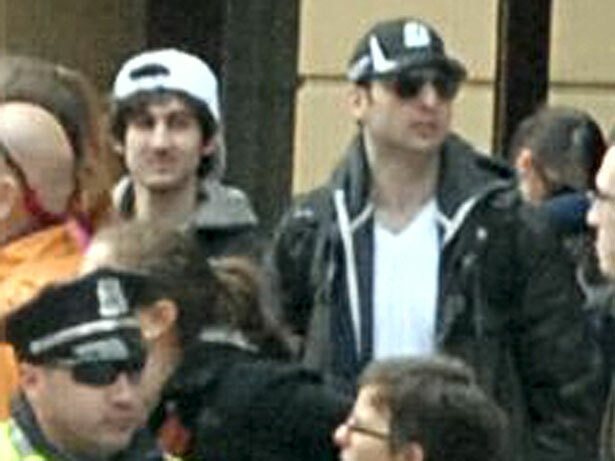 US law-enforcement officials said they didn’t receive any such information and are trying to determine if it is true. The alleged contacts in Dagestan included at least six meetings between Tamerlan Tsarnaev, whose family traces its roots to Chechnya, and the unnamed suspected militant, the American law-enforcement official said. Russia carried out an operation against suspected militants, killing the contact, and Mr. Tsarnaev left Russia before he could be questioned, the official said. Russia is notoriously obsessed with Chechyna, especially since a wave of massive bombings and other terrorism swept Moscow just before the rise to power of Vladimir Putin—and which, indeed, helped catapult him into power. For that reason, the FBI and the CIA take information about Chechens from the Russians with a chunk of salt. The FSB is mad at a lot of Chechens. Not all of them are terrorists, and even fewer of them are dangerous to the United States. Those [former intelligence and law enforcement] officials pointed to the FSB’s habit of treating much behavior by Chechens as suspicious, and nearly all such behavior as terror-related. The Tsarnaev request, they speculated, was likely triggered by the FSB’s concern that he would participate in or provide support to Chechen insurrectionists in Russia, rather that by any sense of a threat to American interests. Properly enough, various members of Congress—mostly Republicans—are asking for the FBI to release its file on Tsarnaev from 2011. Their motivation, I’d suspect, is less because they want to get to the bottom of the issue and more because they’re hoping to find some way to embarrass the Obama administration by discovering some lapse in the inquiry. In any case, though, the FBI ought to release the complete file on Tsarnaev immediately, so we can all judge for ourselves. UPDATE The Washington Post reports that the surviving brother, Dzhokhar Tsarnaev, says that he and his brother were motivated chiefly by anger over America's wars in Iraq and Afghanistan and, more generally, "US actions in the Muslim world." They were, says the Post, "self-radicalized," according to US officials. The officials also disputed the idea that Russia had serious concerns about Tamerlan Tsarnaev, since they allowed him to travel freely in and out of the country. The bombers may be ethnically Chechen, but the United States shouldn't be drawn into Moscow's heavy-handed anti-terrorist operations in the Caucasus, Robert Dreyfuss writes.